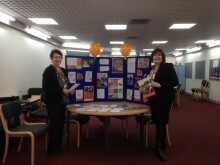 Join us in marking Dying Matters Week 9-15 May at our roadshows and special family tribute event on Sunday 15 May. ellenor, the charity that supports families facing terminal illness, has 15 plucky supporters running in the Virgin Money London Marathon 2016 on its behalf: Carly Skillman, Alison Bell, Sophie Warren, Daniel Bryne, Sam Harrison, Kevin Shannon, Jamie Swetman, Alison Howard, Claire Homewood, Michael Smith, Claudia Prestige-Jones, Robert Standing, Matt Holdstock, Brian Austin and Martyn Earl. Members of Gravesend Lions Club visited ellenor Gravesend last week to present a cheque for just over £4,000 – bringing the amount the group has donated to ellenor this year to £11,000 – a big boost to the charity, which supports families facing terminal illness. Springtime at the Farm, held at Harvel House Farm on Saturday 9 April raised £4924 for ellenor. Around 1,000 people came along to enjoy a day on the farm meeting fluffy lambs and some lucky families even witnessed five lambs being born on the day. It’s only two weeks until our brave team of supporters - Louise Barnard; mum and daughter, Rachel and Alex Terry; Sarah Harvey; Eileen Kelly; Lesley Dyball; Mo Tutty; Paul Cumbers; and Stephen Margison - head off to Iceland to take part in the ellenor Fire and Ice Volcano Trek. Lots of happy bunnies enjoyed a brilliant morning at the ellenor Children’s Hospice Care Easter Party recently, which was held at Dartford Football Club. Around 50 people challenged themselves to do ellenor’s firewalk at Maidstone United Football Club on the evening of Sunday 20 March, raising in excess of £10,000 for the charity, which supports families facing terminal illness. ellenor gained international attention recently, having welcomed a film crew to ellenor Gravesend from KBS – the national public broadcaster in South Korea (the equivalent to the BBC). Following the launch of its hub in Swanley last year, ellenor has recently started a similar initiative in Dartford – both of which give local people, patients and carers the opportunity to access support and information about ellenor’s services in the heart of their community. 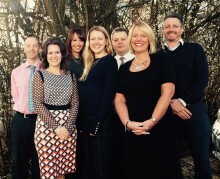 An intrepid team of six from the Tunbridge Wells-based law firm CooperBurnett are set to tackle the Three Peaks Challenge this June in aid of ellenor. 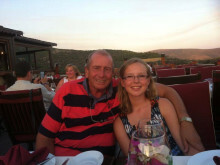 Niamh Manley, 16, from New Ash Green, has raised £750 for ellenor by creating a calendar featuring her late Grandfather’s paintings. Niamh, a year 11 pupil at Mayfield Grammar School in Gravesend, sold 200 copies of the calendar to friends and family and locally in the village. ​Good Morning Presenter and ellenor Patron, Charlotte Hawkins surprised ellenor respite carer, Vicki Read, at work in a young patient’s home in Gravesend on Tuesday 8 March – presenting her with a bunch of flowers and a ‘Health Star’ certificate from the ITV breakfast programme for her dedication to the charity, which supports families facing terminal illness. 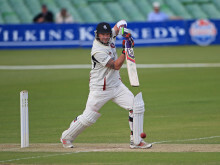 Award-winning Kent cricketer, Darren Stevens, has chosen to support ellenor – the charity helping families facing terminal illness in Kent - during his benefit year. City-based asset management company BlackRock has raised £844,182 for ellenor and four other children’s hospices in London as part of the consortium, Children’s Hospices across London (CHaL), in its most successful charity collaboration to date. As we approach February 14th, the team at ellenor is thinking about Brian and Linda Nunn, who are celebrating their first Valentine’s Day as a married couple. 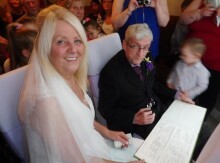 The couple exchanged vows three months ago in a service conducted in the lounge of their Swanscombe home by ellenor chaplain, Reverend Elizabeth Chapman. 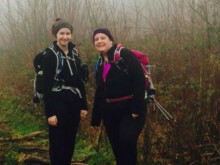 Rachel (48) and Alex (20) Terry, a mother and daughter from Gravesend, are preparing to head off to Iceland in April for a challenging five-day trek across the country’s volcanic landscape to raise money for ellenor – in memory of Jean Terry, Rachel’s mother-in-law. There was a great turn out for ellenor Children’s Hospice Care (formerly chYps) annual Chilli Dip, as friends and family were on side to watch 28 supporters brave the freezing waters of the outside pool at St Julian’s Club in Sevenoaks on Saturday 6 February. The ellenor charity shop in Dartford High Street has recently undergone a full refurbishment and opened its doors again to shoppers on Monday 1 February. The stunning shop has been an ellenor outlet for 25 years now and is significant in Dartford, as it is housed in one of the town’s oldest buildings – a factor the team had to take into account when embarking on the refurbishment.